Product categories of Excavator Oil Cooler, we are specialized manufacturers from China, Excavator Oil Cooler, Excavator Oil Cooler For Pc200 suppliers/factory, wholesale high-quality products of Excavator Oil Cooler For Pc300 R & D and manufacturing, we have the perfect after-sales service and technical support. Look forward to your cooperation! Jining Union Machinery And Parts Co.,Ltd mainly produces water tanks,radiators,oil coolers, intercoolers for all brands excavators. 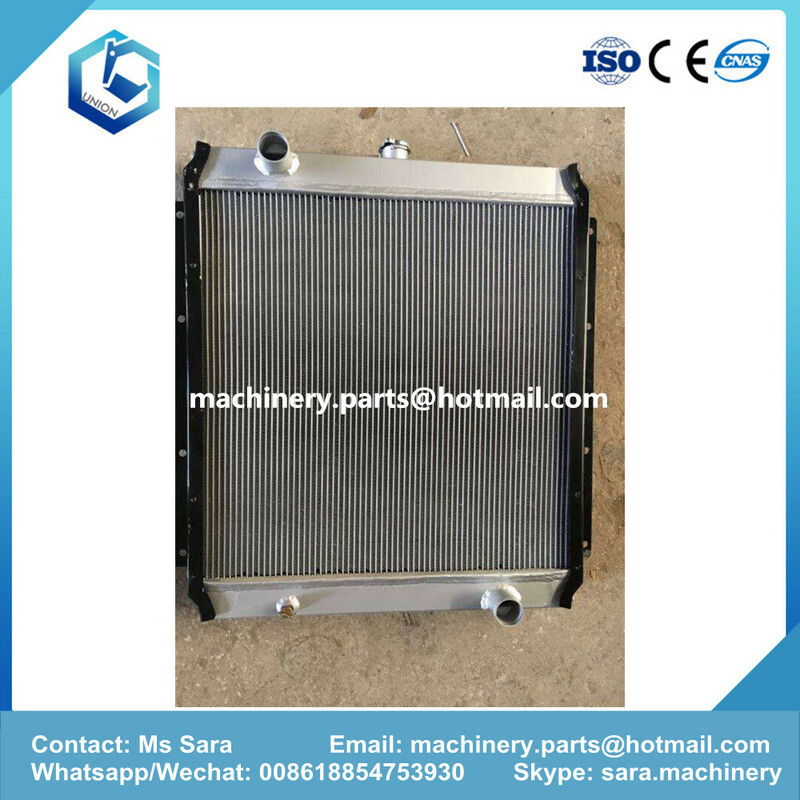 The Excavator Oil Cooler is an important part of the engine. 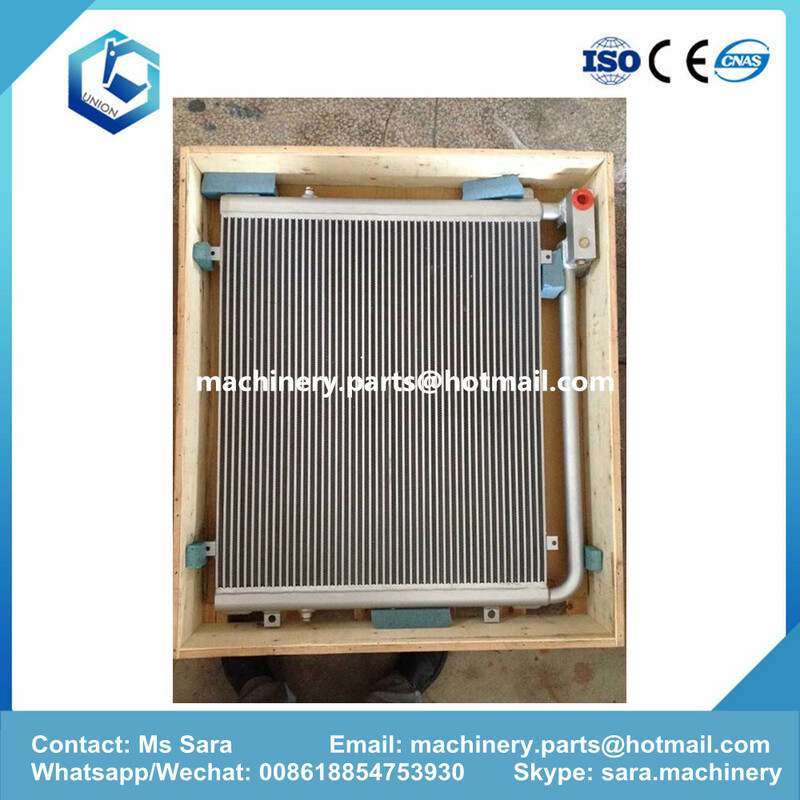 The oil cooler of the Excavator is mainly composed of radiator core, radiator air blade, upper oil cooler and lower oil cooler. 1, The heat dissipation components to ensure the air circulation, as far as possible to increase the area of air circulation. Oil Cooler hydraulic excavator to guarantee a certain air circulation area to better protect the cooling function of the radiator, in order to better protect the heat radiating parts of excavator dredging, the need for timely on the radiator possible blockage fault timely cleaning.If there is a problem of blockage of the protection network for the heat dissipation parts of the hydraulic excavator, we need to arrange and clear it in time, so as to ensure normal heat dissipation and prolong the service life of the excavator. 2, May need to be vigilant, around the radiating component of hydraulic excavator needs certain additives, these additives must be resistant to high temperature, corrosion resistance, and these materials need ventilation is poor, so it can prevent air backflow. 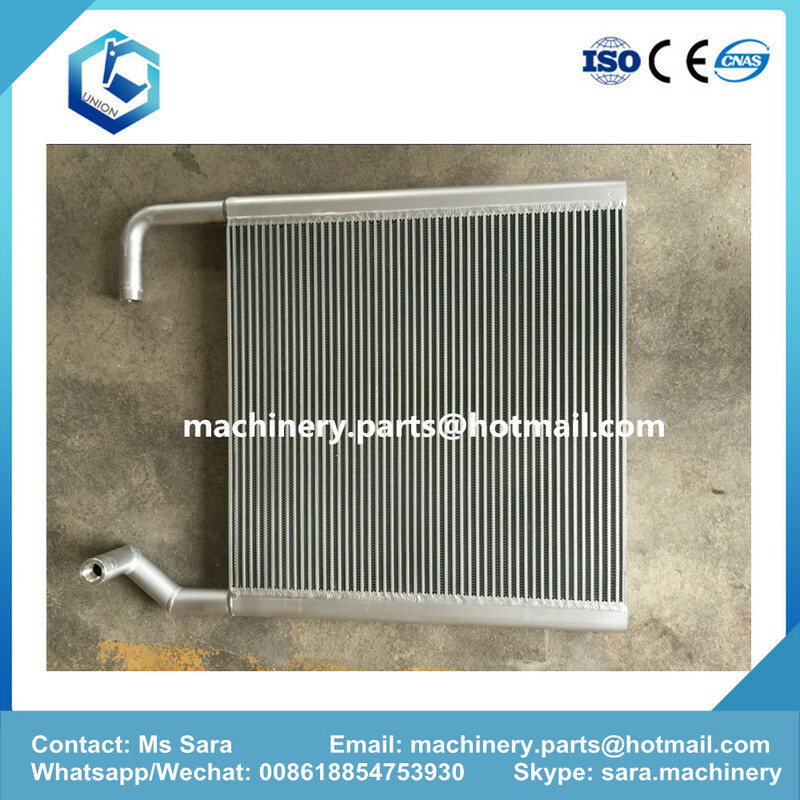 The additives of this special material are mainly vigilant for the phenomenon that the heat sink can be reflued near the radiator after the problem of radiator inhalation, which will cause the high temperature not to drop. 3, We need to ensure that we can guarantee the smooth emission of heat. In order to make the hot gas better evacuated, the diaphragms of the engine compartment doors of the hydraulic excavators can not be disassembled at will, so that the radiator can achieve a certain cooling effect. The exhaust holes of the engine hatch need to be ensured unblocked, and the vent holes are not blocked or placed in order to better discharge the heat. 4, To cover the cooling part of the air intake to have a certain guarantee. The air guide hood and fan will also affect the intake volume of the radiator of the hydraulic excavator. According to the need, the air guide cover can be chosen in three ways: Venturi, ring type and box type. The position and distance of the fan and air guide cover and its engine are also required. Reasonable control should be made according to the needs of the field operation. 5, It is necessary to guarantee the resistance and problems of the import and export of hydraulic excavators within the scope of control. The hydraulic excavator engine has certain requirements for the environmental atmosphere. The general accuracy requirement of filtration is 5um. Generally speaking, the filtration accuracy of the domestic diesel engine is within the range of 20um. When selecting air filter core, reasonable selection and treatment should be made according to the need of the heat dissipation of hydraulic excavator. 6, The maintenance of any professional maintenance personnel should be required for any engineering machinery or accessories. In the high temperature weather, it is necessary to check whether the heat dissipation system can be heat dissipating regularly, and can ensure the safety and normal construction of the construction machinery.